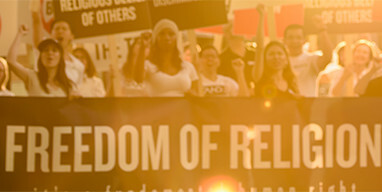 That you connect Scientology with his name to impugn his conduct adds religious bigotry that is misplaced and offensive. I read your article of January 28, 2018, concerning some parents making their children drink bleach to cure them of autism. What you fail to say is that he was expelled from the Church of Scientology in September 1991—over 27 years ago. Humble was expelled because he was a scammer who refused to uphold the moral and ethical requirements of members. Would you say he was a “lapsed” Catholic, a “shunned” Jehovah’s Witness, Jew or member of the Bahá'í faith? In the future please do not inject bigoted and ill-informed aspersions on the Church of Scientology in your articles.